You went out and bought a beautiful houseplant, set it up in a nice bright window, and within a week its leaves were turning brown or even falling off. What did you do wrong? To answer that question, you'll need to be able to answer some questions about your plant, it's setting, and the care you've given it. Imagine buying a dog without knowing that it needs dog food, plenty of water, exercise, and affection to thrive. With the best intentions, you might neglect one or more of its needs, and you'd see your puppy grow thin, despondent, or sick. Like dogs, plants are living things with specific sets of needs. But just as puppies are different from kittens, so too are cacti different from ficus plants or spider plants. To provide the optimum conditions for your plant, you need to know where your plant comes from and what it needs to survive and thrive. What kind of soil does this plant like? How much light and shade does it need? How much water is enough (and how much is too much)? Does this plant need extra humidity or moisture? Should I spray or mist it? Does this plant need extra plant food, and, if so, what kind? Is this plant prone to pests or parasites? If so, how do I keep my plant safe? 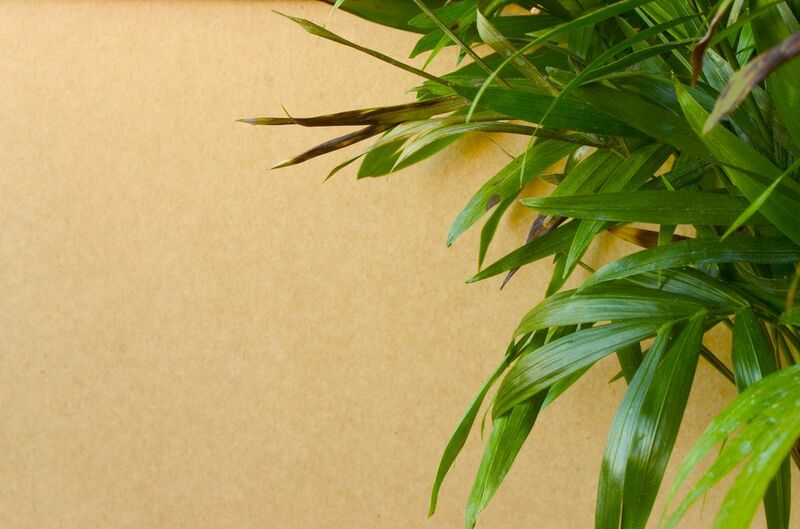 Even with the best care, brown leaves are fairly common on many houseplants. Keep in mind that it might be perfectly natural for lower leaves on your plant to first turn pale yellow, then brown and then drop off. This happens on many kinds of tropical plants as they grow. Over time, the plant will form a bare stem. Not enough light. If lower leaves start turning brown or yellow, the plant might not be receiving enough light. If the discoloration is isolated to the side of the plant away from your light source, it's probably too little light. Too much heat. This often occurs in conjunction with too little water, but too much heat will cause leaves to curl, become crinkly and then fall off. If the plant is also wilting, try increasing water. If the rest of the leaves are healthy, introduce some air flow to cool the plant off. Too little water. Underwatered plants will first wilt, and then the leaves will brown and fall off. This most often happens from the bottom up, but it might also start on outer leaves on more bushy plants. Too little humidity. If the browning is confined to the leaf tip, and the leaf margin is still green, it's possible the plant isn't receiving enough humidity. If it's a tropical plant with a high humidity requirement, try increasing misting. Too little humidity may also cause black spots to form on leaves.